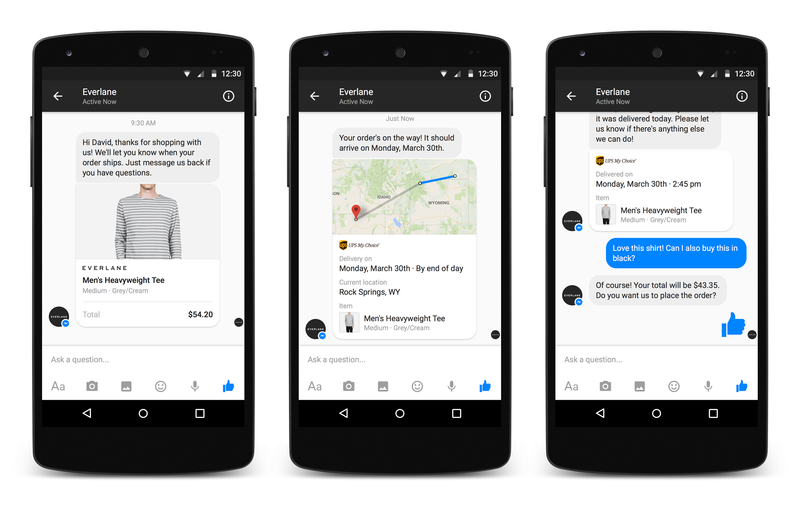 What should you know on conversational commerce? “People Don’t Want Something Truly New, They Want the Familiar Done Differently” according to Nir Eyal. A conversation is one of the most natural behaviours to get a job done. People engage heavily in messaging to friends and family on a daily basis. This universal interface is now also entering into the consumer- business relation. Conversational commerce will eventually help brands to connect to consumers and to build meaningful relationships over time. Messaging apps steadily become a platform for commerce & customer service. Forget searching and browsing but simply get your order done via a conversation. “Smart cards” inserted into the conversation on a messaging app will help you to complete the discovery, selection and the payment process – while interacting with both humans and bots. If popular messaging networks like Whatsapp and FB Messenger get the capabilities to get a users’ job done, a (Google) search might become only the last resort. Google only recently joined the race and announced their own messaging app including AI a few weeks ago. Consumers spent 79% of time on their mobile phone using five apps and only 10% of apps downloaded are ever used more than once. Messaging on smartphone is in the top 3 activities on smartphones. In the future, software-formerly-known-as-apps will become apps, services and bots on messaging platforms like FB Messenger, Whatsapp or Telegram. On tap, when you need them. Without filling up your phone or the need for installing updates. Welcome to the Post-App Economy. Conversational commerce is not a universal solution for every single request or transaction today. Nir Eyal summarized a few scenarios’s where assistants-as-an-app and conversational commerce make most sense. Human support can add value when too many options are available or analysis of results is hard (remember choosing wine for your last Christmas dinner). 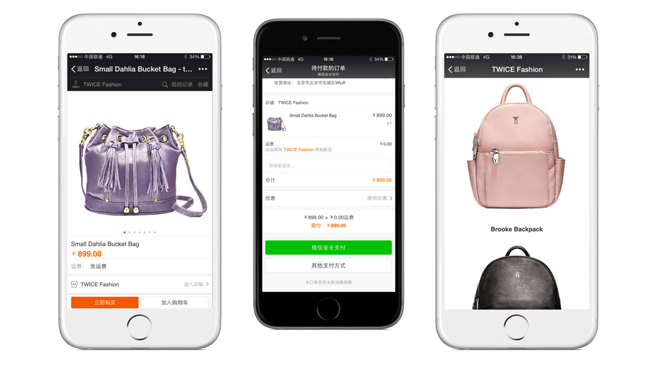 Wechat (the leading messaging app for Asia) has alread an estimated average revenue per user (ARPU) of $7 USD , that’s 7X the ARPU of WhatsApp, the largest messaging platform in the world. 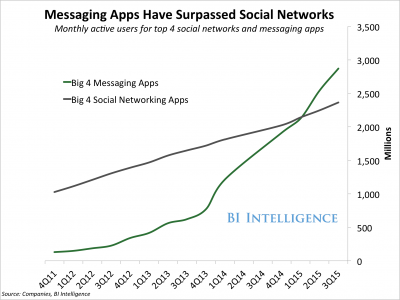 Want to understand the future for messaging apps like Facebook Messenger? This analysis by VC a16z gives you an excellent starting point to understand the Wechat ecosystem (a recommended sunday long read). Messaging is growing faster than social media (and eating email for lunch). In 2015 the number of monthly active users on messaging apps has surpassed those of social media networks. On top of that, an estimate 43 trillion instant messages were sent in 2015, surpassing email for the first time. Conversational commerce delivers an unique opportunity for brands to deliver convience and build personal relationships with their customers. Are you ready to start conversations with your customers today?